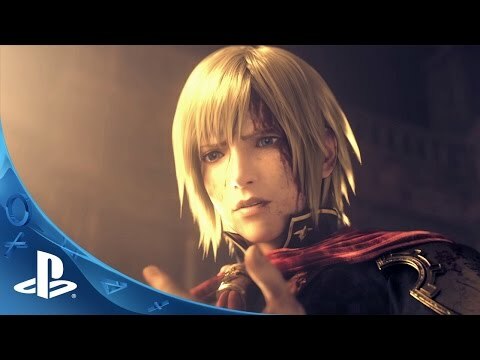 One of the most highly anticipated role-playing games of all time, FINAL FANTASY TYPE-0 makes its Western debut on PlayStation®4 as FINAL FANTASY TYPE-0 HD. Featuring the immersive story, memorable characters, and production values the series is known for, players are transported to Orience, a dark, FINAL FANTASY world governed by crystals and torn apart by war, as the nation’s youth are swept into its conflict. High Definition Visuals: The world of Orience is brought to life in rich and vivid detail, coming to modern consoles in gorgeous, newly rendered HD visuals. Customizable Parties: Choose from 14 playable members of Class Zero to control, each with distinctive weapons, abilities, and combat styles. High Stakes Battles: A bloody, action-packed battle system where every attack carries the weight of mortality. Enter a world where a common fire spell incinerates foes, and the deadly Killsight is an instant fatality. A Mature FINAL FANTASY For a New Age: The crystals fuel the flames of war, shedding light on young heroes who must cope with decisions that will mean the difference between life and death and the rise and fall of nations. Japanese Voice-Over Included: Play the game with English or Japanese voice-over audio with English, French, or Spanish subtitles. The year 842 is the beginning of the end. In an act of unprovoked aggression, the Militesi Empire invaded the Dominion of Rubrum. Imperial dreadnoughts swarmed the skies, assailing the unsuspecting countryside under the banner of the White Tiger. From amidst the flames of the besieged dominion, the Vermilion Bird rose in defiance, her crystal granting magic and mighty eidolons that her disciples might cast out the technologically advanced aggressors. Thrust into the tumult of war, the fate of the world and its four crystals now rests on the shoulders of fourteen brave, young warriors. Pre-ordering FINAL FANTASY TYPE-0 HD gets you an exclusive first look at FINAL FANTASY XV, the breathtaking next entry in the FINAL FANTASY series. Titled 'FINAL FANTASY XV -EPISODE DUSCAE-', the demo includes elements from the opening of the full game to create a unique first-play experience. Pre-order now to secure your copy! © 2011 SQUARE ENIX CO., LTD. All Rights Reserved. 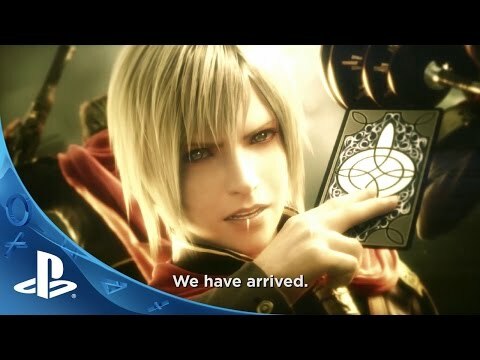 CHARACTER DESIGN: TETSUYA NOMURA FINAL FANTASY TYPE-0, SQUARE ENIX and the SQUARE ENIX logo are registered trademarks or trademarks of Square Enix Holdings Co., Ltd. “PlayStation,”and “PS4” are registered trademarks or trademarks of Sony Computer Entertainment.